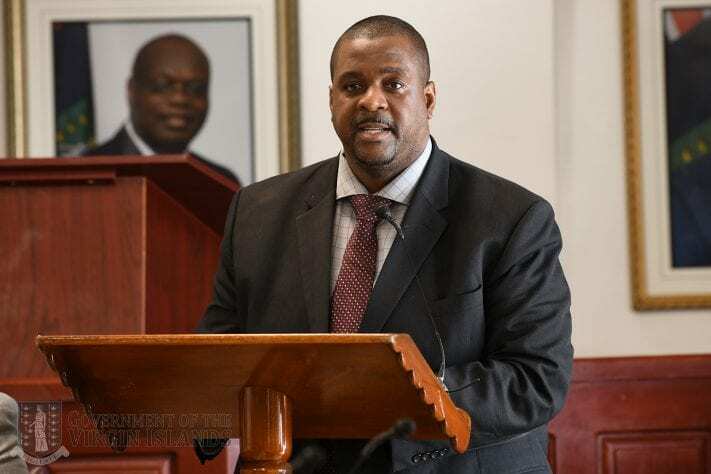 In his presentation, Premier Fahie spoke about the Territory’s medium term economic goals, the state of the Territory’s economic performance, fiscal performance, fiscal strategy and outlook as he outlined the 2019 budget. The Minister of Finance, in addressing the state of the Territory, said the Financial Services, Tourism and Construction sectors contributed to the 2.3 percent growth in the economy in 2018. He said green shoots are visible; and credited the people of the Virgin Islands for their determination and resilience in seeking to put their lives back in order which contributed to the success of the construction and tourism sectors. Premier Fahie broke down the 2018 Fiscal performance citing the recurrent expenditure for 2018 was $16 million below the original budget at approximately $323.2 million. The Minister of Finance outlined that in this budget cycle, the Ministries of Education, Culture, Youth Affairs and Agriculture, and Health and Social Development have been allocated the largest percentage of the budget and will receive 15.4 percent and 20.9 percent respectively. This he said signals the Government’s commitment to two of the most crucial sectors in guaranteeing the empowerment of the Territory’s people. Honourable Fahie said priority will be given to the restoration of the L-shaped Elmore Stoutt High School building as well as the reconstruction of classrooms and support facilities including internal and external work. Students are expected to utilise these facilities in September this year. The reconstruction of the Bregado Flax Secondary School was also noted as priority. In the Health sector significant attention will be placed on the completing of the Nurse Iris O’Neal Medical Clinic on Virgin Gorda, attaining accreditation for the Territory’s hospital and other investments in the BVI Health Services Authority and the National Health Insurance scheme. Honourable Fahie assured the people of the Territory that Government’s efforts to execute projects and programmes using budgetary funds will be done in consultation with the people. He pledged to increase the quality of governance; seek greater local and international investments in the economy, particularly in tourism, marine industries, fishing, agriculture and Information Technology services; improve the education and other public infrastructure; build a secure environment in which to do business; support the development of small businesses and create additional entrepreneurial opportunities and sustainable jobs. The Standing Finance Committee chaired by the Speaker of the House will examine the Budget document now that the Budget Address has been delivered. At this session, public accounting officers will be invited to explain and rationalise their submissions and answer any questions the committee members may need addressing. On completion of the Standing Finance Committee process, the Budget will be debated in the House of Assembly before it is passed. The Standing Finance Committee will commence on Friday, April 5.